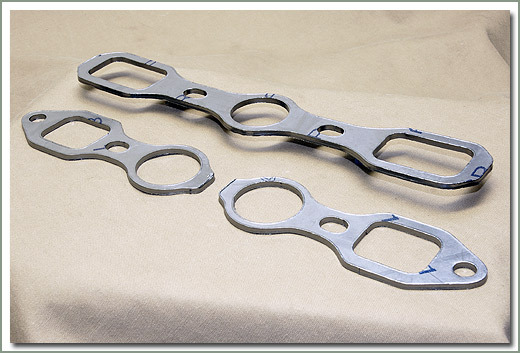 SOR has developed a superior Graphite Manifold Gasket for your Land Cruiser engine. 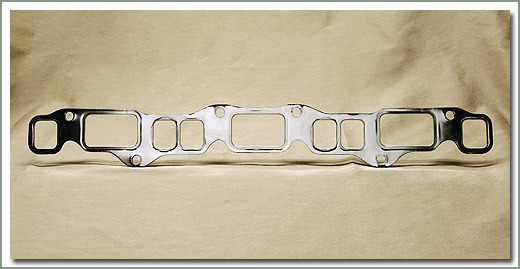 We believe that SOR's Graphite Manifold Gasket is the highest quality graphite type gasket you can get for your Land Cruiser. Our exclusive material has metal reinforcement embedded into the graphite matrix to make the material more durable than other manufacturer's graphite gaskets. 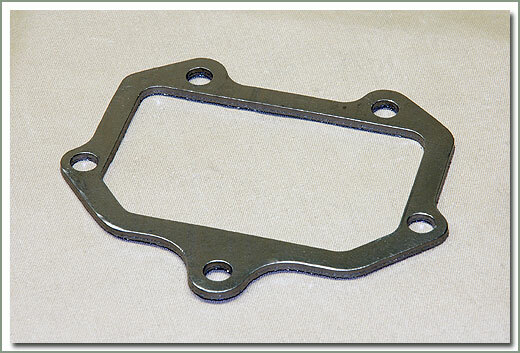 SOR Graphite Manifold Gaskets are made from a unique thick graphite material that is about 1/8" thick and is designed to be squeezed during installation. This squeeze helps seal manifolds and headers that are not perfectly flat. Resists leaks due to warping. This graphite material is rated for temperatures in the 2000 degree range so the material will not deteriorate due to exhaust heat. Suggested fastener torque of 20-25 ft lb. Fits 1958-1967 Siamese port gas engine. This is a compressed graphite material with a stainless steel core. 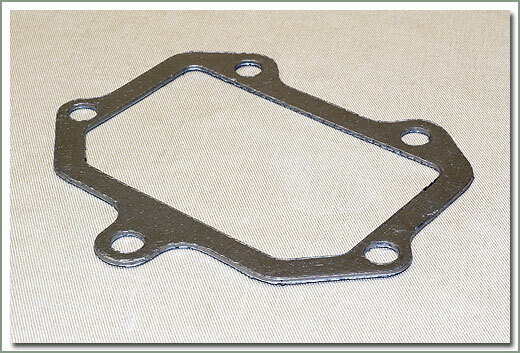 This unique gasket is about 1/8 inch thick and is designed to be compressed during installation. This compression helps seal manifolds that are not perfectly flat. Resists leaks due to warping. The stainless steel core resists blowing out. The graphite material is rated for temperatures in the 2000 degree range so the material will not deteriorate due to exhaust heat. 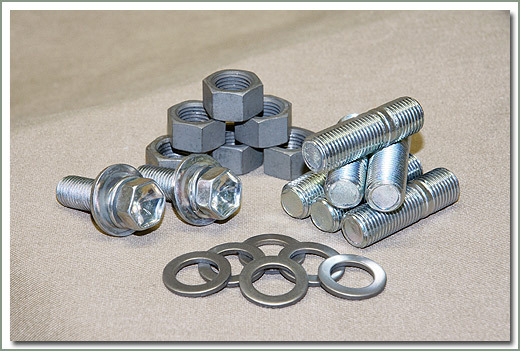 Mfg suggested fastener torque of 20-25 ft lb. Fits 1/75-8/87 2F gas engine. This is a compressed graphite material with a stainless steel core. 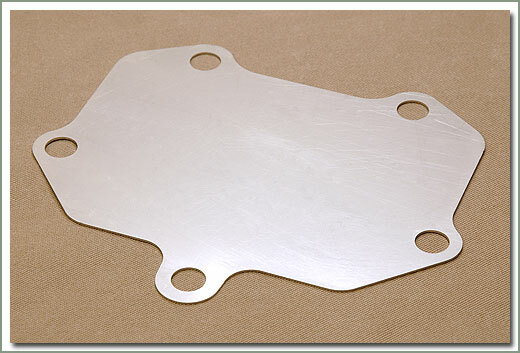 This unique gasket is about 1/8 inch thick and is designed to be compressed during installation. This compression helps seal manifolds that are not perfectly flat. Resists leaks due to warping. The stainless steel core resists blowing out. The graphite material is rated for temperatures in the 2000 degree range so the material will not deteriorate due to exhaust heat. Mfg suggested fastener torque of 20-25 ft lb. 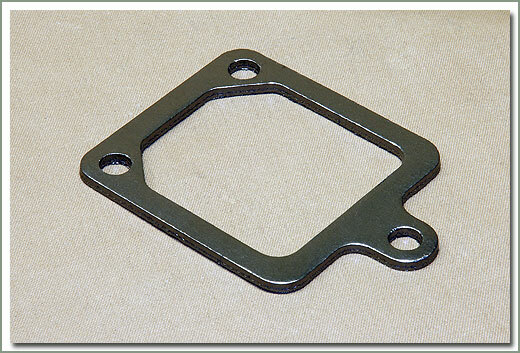 Fits 1968-1974 F gas engine - Graphite gaskets are made from a unique thick graphite material that is about 1/8" thick and is designed to be squeezed during installation. This squeeze helps seal manifolds that are not perfectly flat. Resists leaks due to warping. This graphite material is rated for temperatures in the 2000 degree range so the material will not deteriorate due to exhaust heat. Mfgr suggested fastener torque of 20-25 ft lb. 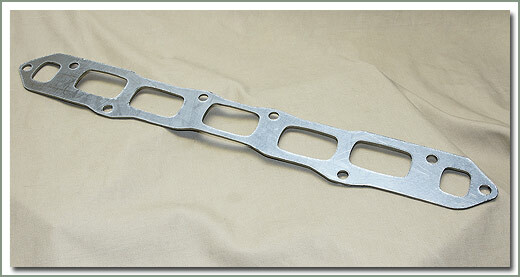 SOR now offers a replacement stainless steel heat riser for 1/75 to 8/87 intake and exhaust manifold assemblies. This insulator installs between the intake and exhaust manifold. 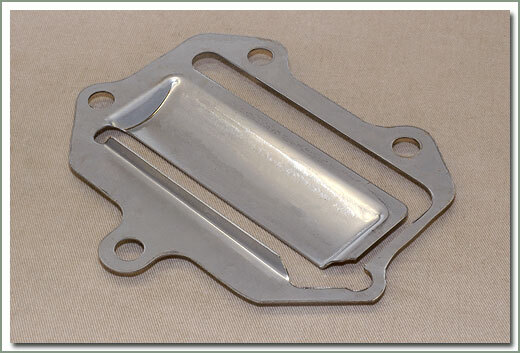 This helps avoid overheating and possible cracking of the intake manifold, a common problem on 2F intake manifolds. This is an important consideration since most of these manifolds are no longer available. Since the insulator for the 1/76 to 7/80 California special is no longer available, we recommend using this insulator. Some heat riser flaps will need minor trimming to fit the Stainless Steel Insulator. Fits 1/75-7/87 - Requires insulator 044-12C for installation. Only one gasket required between insulator and exhaust manifold. 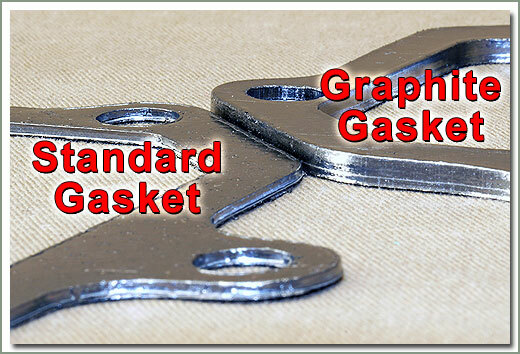 Graphite gaskets are made from a unique thick graphite material that is about 1/8" thick and is designed to be squeezed during installation. This squeeze helps seal manifolds that are not perfectly flat. Resists leaks due to warping. This graphite material is rated for temperatures in the 2000 degree range so the material will not deteriorate due to exhaust heat. Mfgr suggested fastener torque of 20-25 ft lb. When replacing the manifold gasket it is recommended that you place a straight edge against the manifolds to see if they are in alignment. Misaligned manifolds need to be resurfaced in order to work properly. 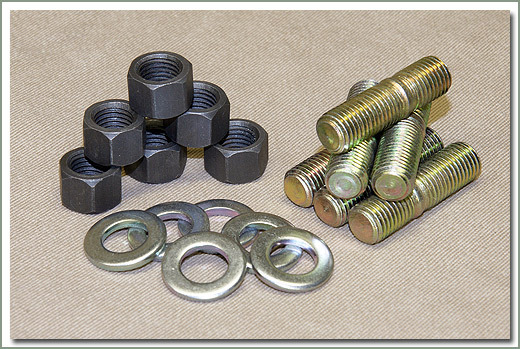 You should also use anti-seize on all nuts, bolts & studs upon reassembly. All gaskets associated with the intake & exhaust manifold should go on dry-NO GASKET COMPOUND IS REQUIRED or RECOMMENDED. Check the factory engine manuals for proper torque amounts & sequences.